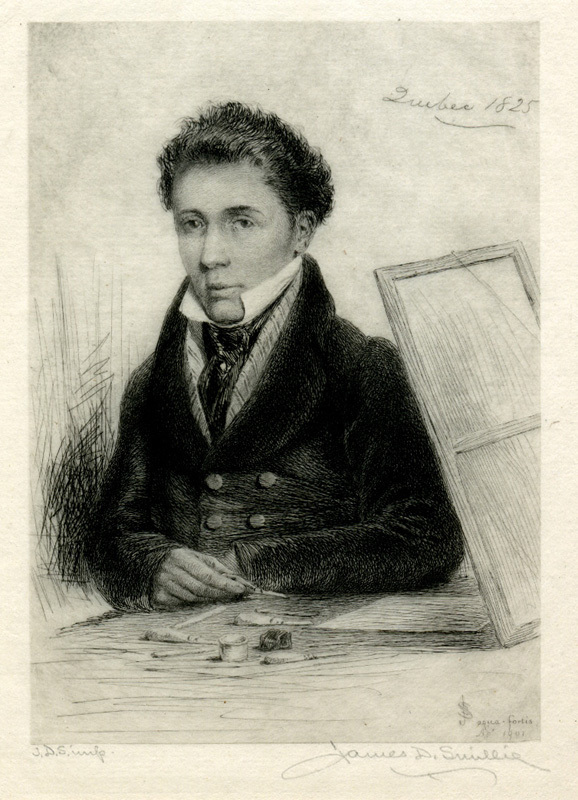 Today’s blog features a member of the 19th century’s most famous family of etchers, James David Smillie. 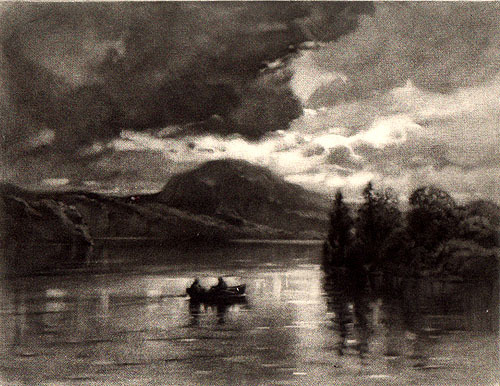 James David Smillie first earned his reputation as an etcher, but later became equally well known for his landscape watercolors. 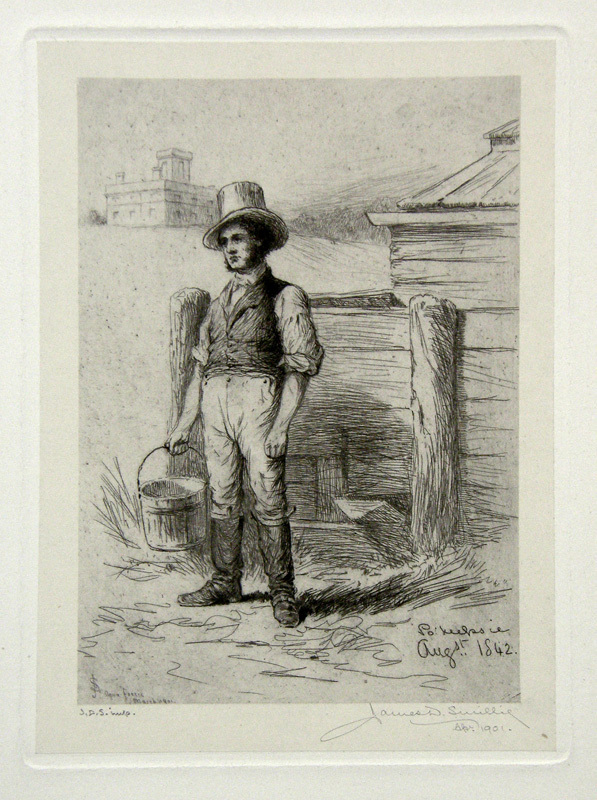 He began etching at age 8, learning from his father. At age 14, he did a set of plates illustrating John Milton’s epic poem, Paradise Lost. He had a job as a bank note engraver before he and his father started their own engraving business, specializing in bank-notes. They also did the engravings for the 1857 Mexican Boundary Survey Report. 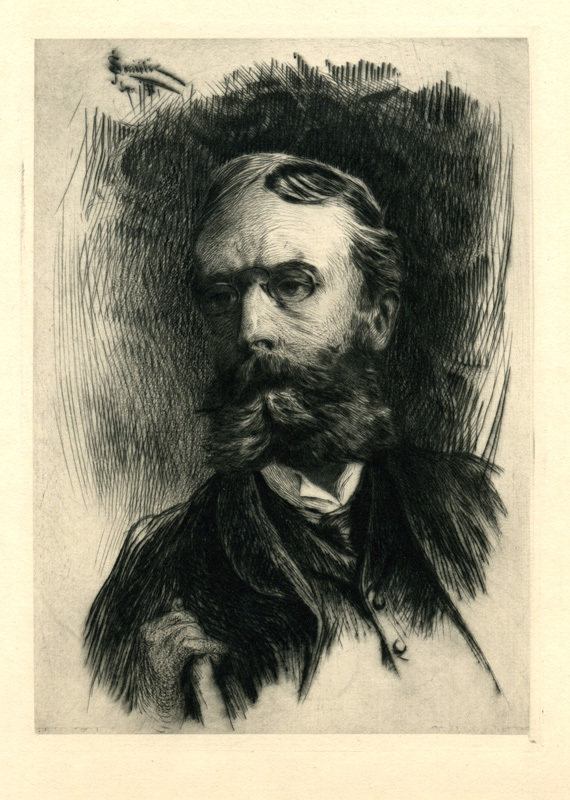 James David Smillie helped organize the New York Etching Club, and he was the U.S. representative to supply examples of American etchers’ work to the Painters-Etchers Society of London. 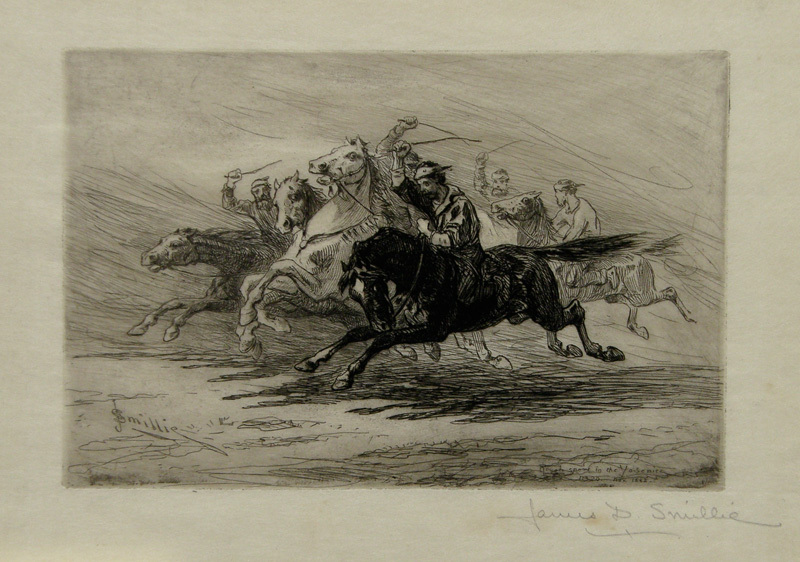 Although he continued working with etching, drypoint, aquatint and lithography, in 1865, he began doing landscape painting and was especially interested in mountain scenery, and he soon traveled to California via the Sierra Nevada Mountains. He then went on to Colorado and the Rocky Mountains, and then to the northeastern United States in the Catskills and Adirondacks. 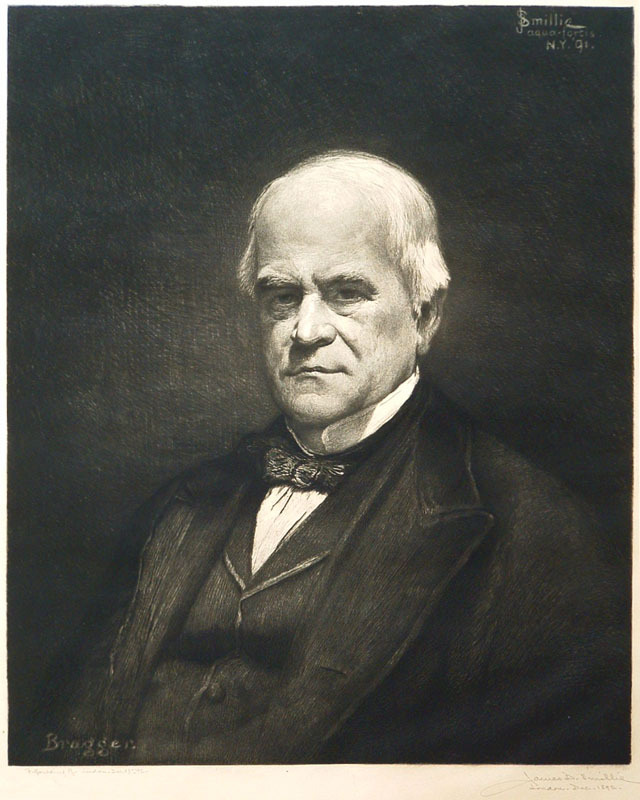 From these trips he did illustrations and wrote the text that were published in 1872 in Picturesque America. 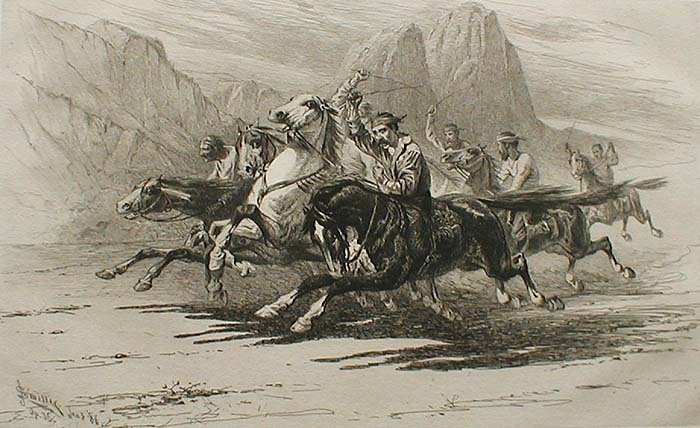 "Rough Sport In Yosemite," etching, 1882, only proof. Smillie married in 1881, and the couple had two sons. 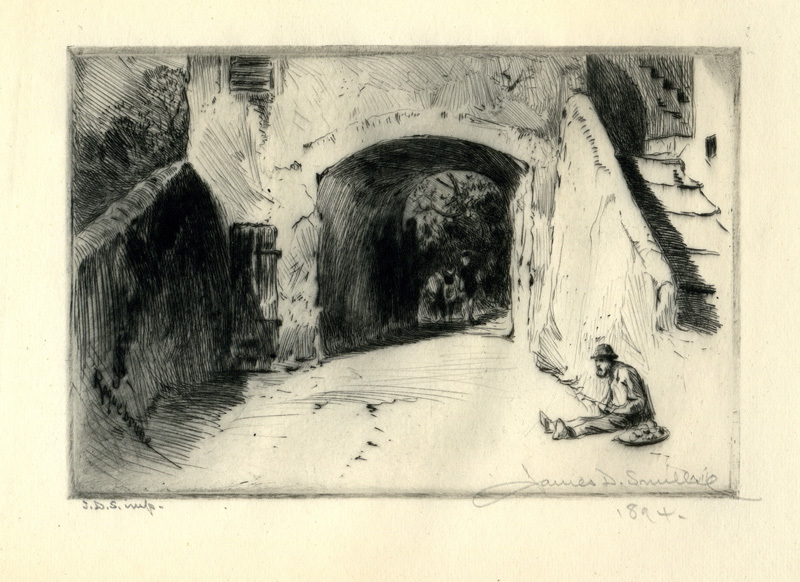 By 1884, he was in France, and spent much time there doing prints of landscapes, figures, portraits and cityscapes. 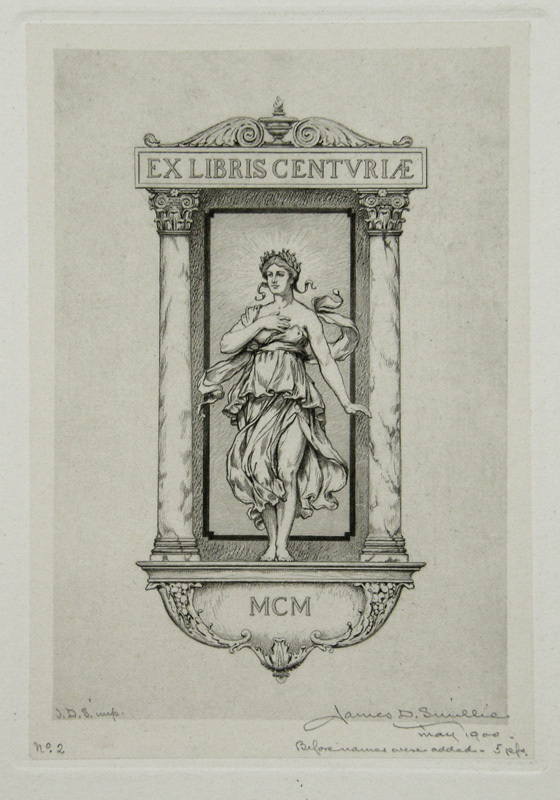 By the late 1880’s Smillie was comfortable and began to do printmaking for himself, experimenting with different techniques of his own compositions: drypoint, mezzotint, aquatint, and soft-ground etching. 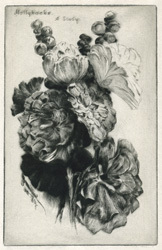 Between 1888 and 1896, he produced a set of drypoint floral still-life prints. 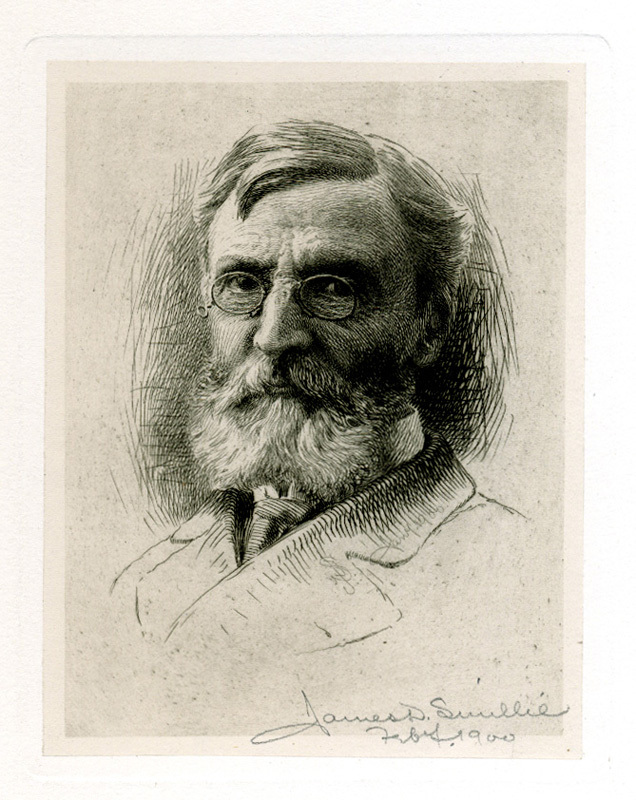 James David Smillie founded the American Watercolor Society and served as president and treasurer. He also taught classes at the National Academy of Design in 1868 and from 1894 to 1903. 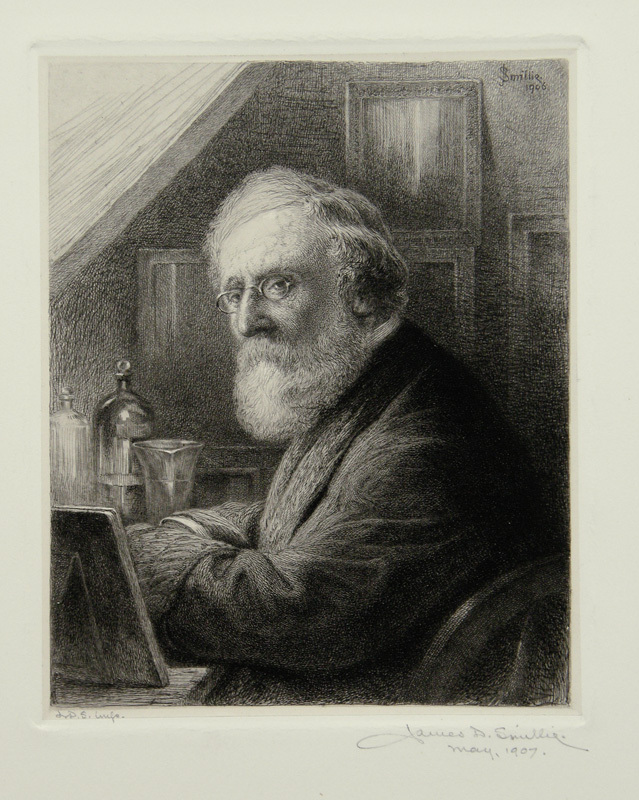 At the end of his life, after viewing a show of Joseph Pennell’s work at the Grolier Club in New York, he realized the difficulty he had transcending his precise and skillful training as a banknote engraver. He died September 14, 1909. There are a couple of excellent publications regarding Smillie’s creative printmaking; a catalogue raisonné by Brucia Witthoft, ISBN 0-7734-9520-7 and an exhibition catalogue with an extensive checklist by Michael Schantz for the Woodmere Museum in Philadelphia in 1991. 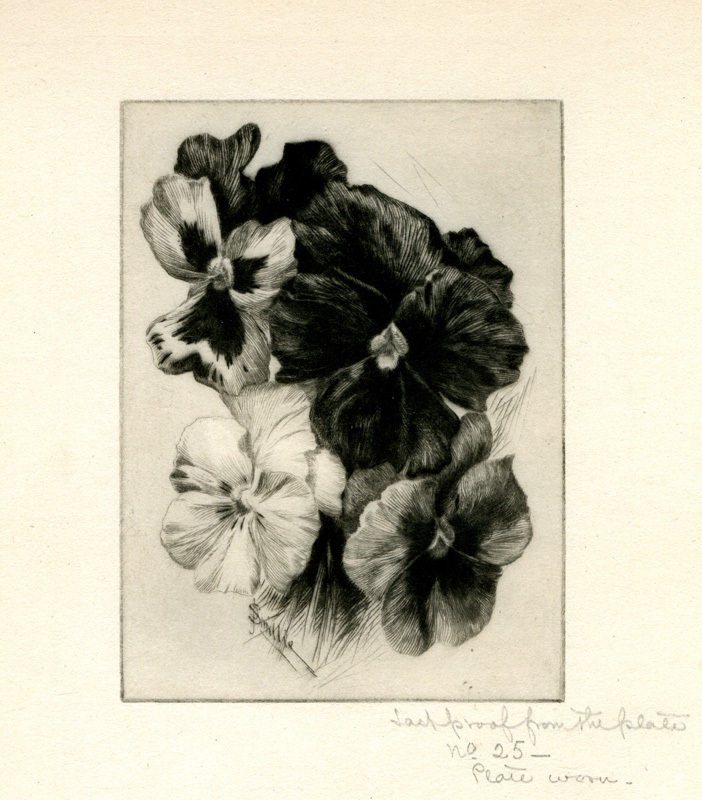 This entry was posted in Biography, Discoveries, Exhibition, Uncategorized and tagged drypoint, engraving, etching, ex-libris, floral, hollyhocks, Marblehead, mezzotint, Morgan, pansies, Yosemite. Bookmark the permalink.